If you are looking to buy a new or pre-owned car in the Thornhill area, then you have come to the right place. At Pfaff Audi Vaughan, we have a massive selection of premium quality Audi vehicles that are waiting for you to take out for a test drive. From SUVs, to sedans, to coupes, to sports cars, to luxury cars, we’ve got it all at Pfaff Audi Vaughan and our pre-owned sales facility located at 115 Auto Park Circle in Woodbridge. 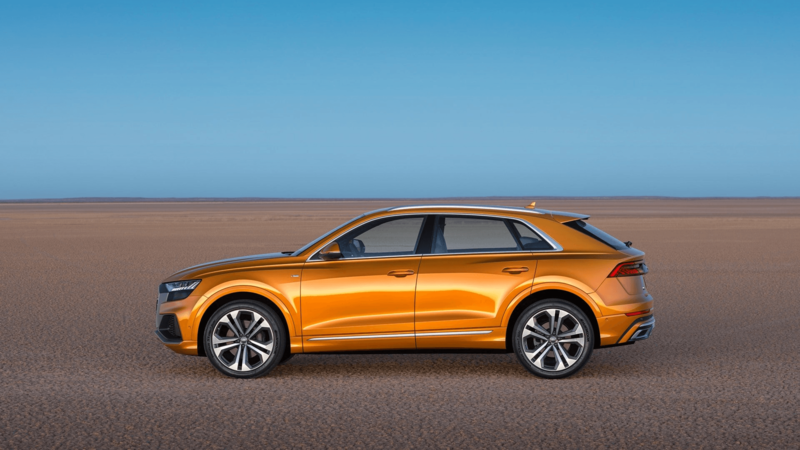 To buy a car in Thornhill has never been easier with Pfaff Audi Vaughan, and in this article, we will be talking about the all-new 2019 Audi Q8 launching soon! Read in for more information. The available Individual Contour Seat package redefines the meaning of luxury. Temperature-controlled and massaging front seats soothe you as you drive, while the rich Valcona leather throughout the cabin creates luxurious ambience. The all-new MMI Touch interface uses two touchscreens with haptic and audio feedback. Designed for ease of use, the screens control navigation, infotainment, climate, and more. The available driver assistance package is your invisible assistant on the road. Featuring traffic sign recognition, active lane departure warning, adaptive cruise control plus intersection assist, the new Q8 offers a smarter way to drive. 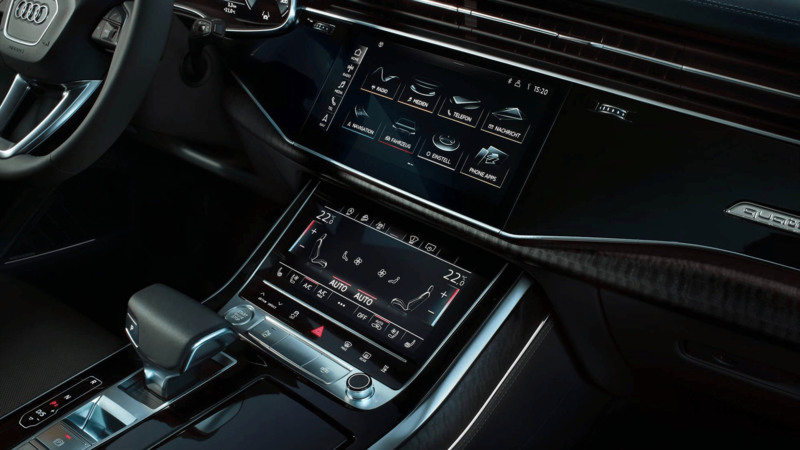 The new Q8 features the latest Audi Virtual Cockpit. A 12.3-inch TFT display allows the driver to customize the information they want to see, including full screen Google Earth Navigation. The Q8 comes standard with 20-inch wheels which are sure to turn heads. Available with designs up to 22-inch, the Q8 makes a statement to match your style. Dial up the intensity even further with the available S line package. With larger air intakes, flared side sills and a lower ride height, this Q8 strikes the right note. With the optional Dynamic package, featuring adaptive air suspension and 4-wheel steering, the Q8 gives a new meaning to the word dynamic. Thanks to the integrated mHEV system, the Q8 can recover energy during braking and coasting. The electric motor can assist the engine, boosting performance, and economy. Cutting-edge technology is used throughout the Q8, ensuring that its performance is as striking as its looks. Using a new 3.0 V6 TFSI engine with mHEV (mild Hybrid Electric Vehicle), the Q8 boasts 335 HP. 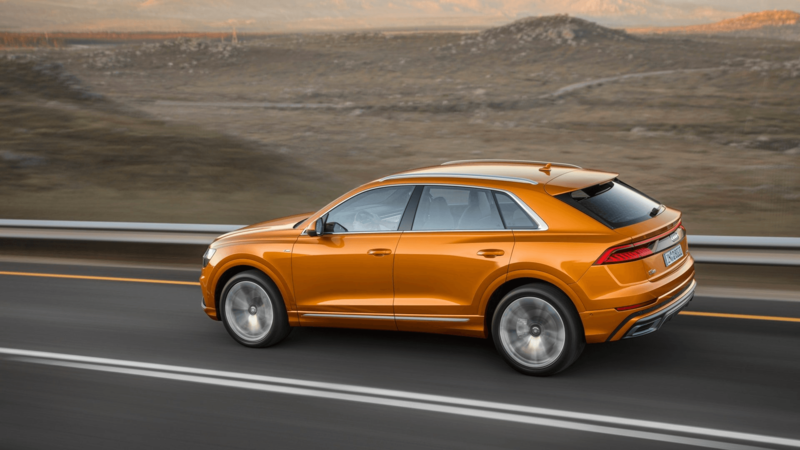 If you are looking to buy a car in the Thornhill area, then the all-new 2019 Audi Q8 SUV will not disappoint! This premium quality Audi vehicle is launching soon, and you should make it your mission to be among the first to get behind the wheel. For more information about the 2018 Audi Q8, or to look through our inventory, please feel free to continue browsing through our website. Click here to find our contact information, schedule a test drive, or to fill out our contact form.